1. Make hemp/Cannabis a root Venezuelan agricultural product. 2. Invite China over with improved trade deals in exchange for strong military defensive help. Russia is looking more promising also; probably because of the gold. 3. Speak openly to the global community about changes he will make to help his people. Juan Guaido, head of the opposition-controlled National Assembly who invoked a constitutional provision in January to assume an interim presidency. The rational used by the West might be similar to a scenario wherein Hillary wins the 2016 US presidential election while Trump and Republicans boycotted the election. Then Trump, backed by many democratic nations, claims that Hillary's election was fraudulent and he was the rightful president because of election corruption. Who'd believe that Trump would be the legitimate president? 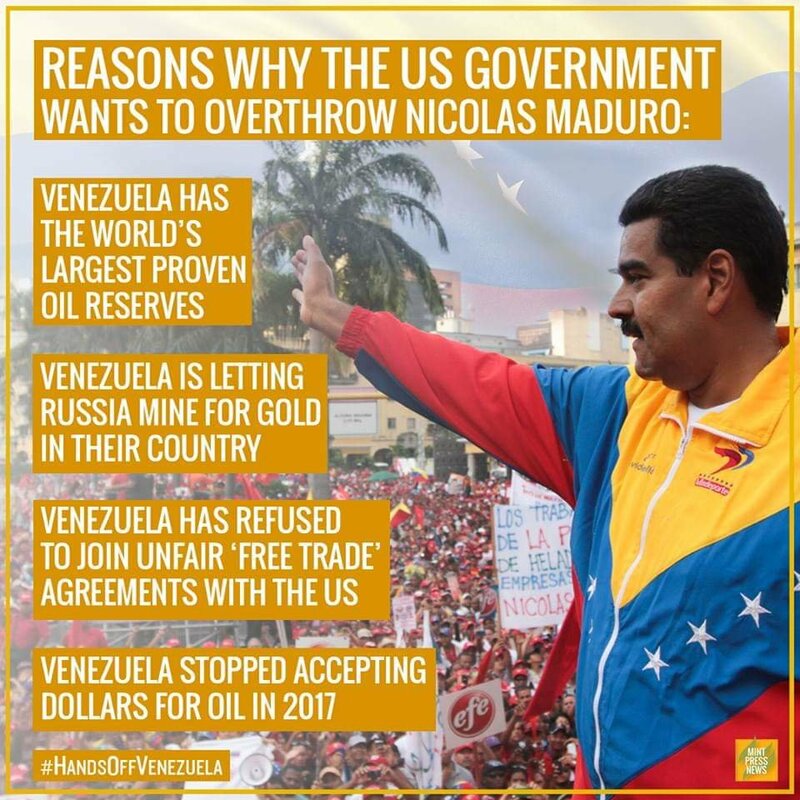 The US does in the case of Venezuela. Perhaps the US can buy Russia's and China's cooperation with favorable trade deals or some diplomatic concessions beyond South America. I bet of Trump could withdraw the Magnitsky Act sanctions against Russia, Putin would respond with "Maduro who?" Abrams﻿ cited recent estimates that over the next few months Venezuela's vital oil exports would fall below a million barrels a day an﻿d that the country's oil exports were declining by about 50,000 barrels a month. So... legitimate refugees heading north... right. No﻿, we did not come to a meeting of minds, but I think the talks were positi﻿ve in the sense that both sides emerged with a better understanding of th﻿e other's﻿﻿﻿﻿ vi﻿e﻿ws﻿,﻿" U.S. special representative Elliot Abrams told﻿﻿﻿﻿ reporters. We﻿ assume that Washington treats our priorities seriously, our approach and warnings." Ryabkov was quoted by Russia's RIA news agency as saying the talks were difficult but frank and that Moscow had warned Washingto﻿n not to intervene militarily in Venezuela. Yep.... that could have all transpired just as well with an exchange of middle finger meme emails. So you have no problem when Maduro dissolved the opposition led elected parliament and replaced it with one made of of people he appointed; intimidated and arrested opposition members; and lies and denies the crisis facing most people of lack of food, medicines and supplies? Maduro - opposed by most if not all Western style democracies and supported by totalitarian Russia and China. We can see your idea of "democracy" clearly now.